We are local family operated house cleaning services provider in Minneapolis MN. 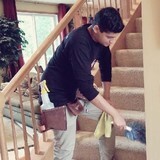 We clean houses since 2009 and our business continues to grow with our satisfied customers. our web-site is for those who look for reliable cleaners and for those who would like to find good housecleaning tips. We are one stop company, we can assist you in all housecleaning needs. If you need a regular weekly, bi-weekly or once a month services. we are glad to help you. Your home will be cleaned with attention-to-detail. We are proud and standby our quality so we provide a 100% satisfaction guarantee! 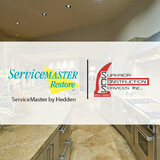 We service all of the South Metro, Hennepin County, Dakota County, Scott County and part of Carver County in Minnesota. As a customer service oriented company, it is our main goal at The Polishing Touch to make sure that your home is well taken care of. The Polishing Touch is insured and has been a Super Service Award Winner since joining Angie’s List in 2007. Our crews are hand-picked by me Rebecca Hardwick (owner). Our professionals clean houses, ranging from 1,000 to 15,000 square feet. We schedule the same two house cleaners to arrive on the same day at the same time of day every two weeks or on whatever schedule you prefer. Additionally, all of our staff are English speaking and are from our local community they also undergo a stringent reference and background check. What should I expect from a house cleaner in Burnsville, MN? Most professional Burnsville house cleaning services will do the same tasks for a basic residential cleaning job: clearing dust and cobwebs from all surfaces and fixtures; wiping all surfaces, including sinks, tubs, counters mirrors; cleaning tile; vacuuming and mopping. You may want to have different rooms detailed at different times, so ask about doing a rotating schedule if you want them to pay extra attention to each space (like kitchens and bathrooms) every other cleaning. Some house cleaning companies in Burnsville, MN will also offer additional services such as window washing or appliance cleaning, so ask about incorporating them into your deal or doing them as a one time thing if you’re interested. Pick up any clutter (laundry, toys and other gadgets) and put pets in a secure spot so they feel safe and don’t get in the way of the Burnsville house cleaning company. Put out any specific cleaning products or tools you want used, and make sure to lock up any valuables that you don’t want disturbed. Most housekeeping services in Burnsville, MN will enter with a spare key or garage code, but if that isn’t something you’re comfortable with then you should arrange for them to come when you are home to let them in. Typically Burnsville house cleaners expect payment at the time of cleaning, so ensure you have the appropriate form of payment (cash, check or credit card) on hand, plus a little extra for tip if that’s your style and they do a great job. 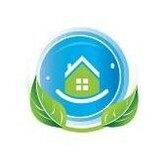 Find Burnsville house cleaning services on Houzz. Narrow your search in the Professionals section of the website to house cleaners in Burnsville, MN and contact local companies to ask questions and get quotes.